Ed Kuepper is a songwriter and musician. If you’re a regular listener of Penmanship, you’ll already be familiar with at least one of his many songs, as the podcast’s theme music is ‘Eternally Yours’ by his band Laughing Clowns, which he formed in Sydney in 1979. 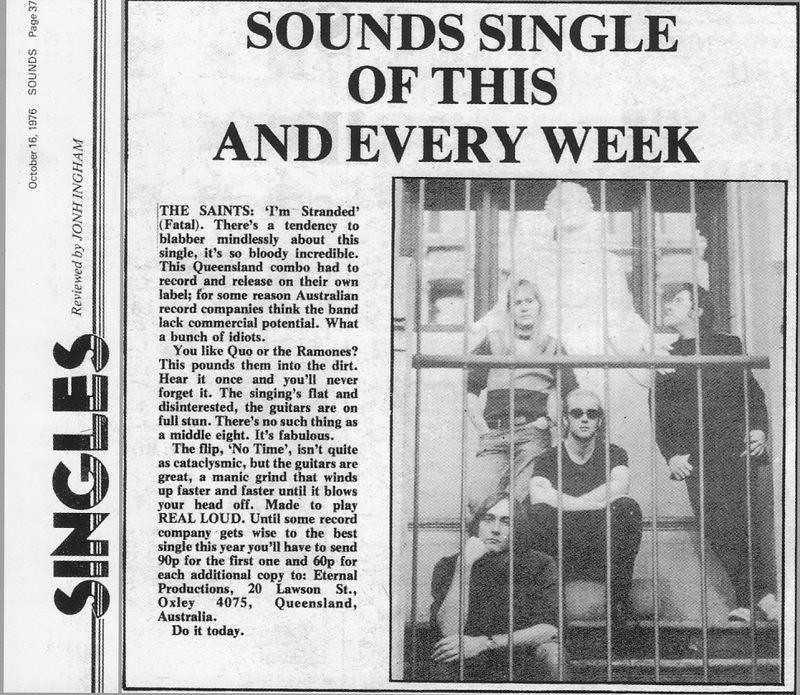 But if you’re a fan of Australian music, there’s a good chance you’ve heard a few others, too: perhaps the title track to the 1977 album (I’m) Stranded by Brisbane punk rock band The Saints, or a single named ‘The Way I Made You Feel’ from his 1991 solo album Honey Steel’s Gold. He has been writing, recording and performing music in Australia and around the world for more than 40 years, and to my ears he is one of this country’s most distinctive and memorable guitarists, too. December 2015 marked the release of Ed Kuepper’s 50th album, Lost Cities, though depending on how you count his prolific solo catalogue, that number might be as high as 100. After exploding out of the gates with the incendiary, distorted guitar tone in The Saints, it’s been fascinating to watch him shift across several genres and playing styles to end up with the sparse arrangements heard here. When reviewing the album for The Australian, I wrote that “there’s nobody quite like him operating in Australian music today, and that he continues to invest in this work is a gift.” In a sense, the album was a gift to himself, too: its release coincided with Ed’s 60th birthday. I first interviewed Ed at his home in the south-west Brisbane suburb of Sherwood for Mess+Noise in 2010, where we spoke about the song ‘Eternally Yours’ at some length. I return to the same house on a quiet Sherwood street in late February 2016 to interview Ed on his back deck, with his dog Oscar lying on the ground between us. You’ll hear cicadas, planes and garbage trucks in the distance as we discuss why Ed thinks fuzz-box guitar distortion sounds “pissweak”; how he avoids retreading the same ground when writing songs; how his writing has progressed between The Saints, Laughing Clowns and his solo career; his experiences with touring as a member of Nick Cave and The Bad Seeds a few years ago, and whether songwriting gets easier with age. Ed Kuepper is an Australian musician. He is a highly regarded and prolific songwriter and a distinctive and unique guitarist and vocalist. He was the founding member of The Saints, Laughing Clowns and The Aints. He has led an active solo career since the mid 1980s and won numerous ARIA awards. He has toured extensively in Australia and internationally. He has worked on film soundtracks, toured as back-up guitarist for Nick Cave and The Bad Seeds, and recently released Lost Cities, his 50th album.